It is mid-day but 15 years old Navid is sleeping. Last night he tried to sneak onboard a lorry heading to England, but after getting tear gas in his eyes he gave up. His friend Joad aged 16 sleep next to him, he also tried last night without luck. 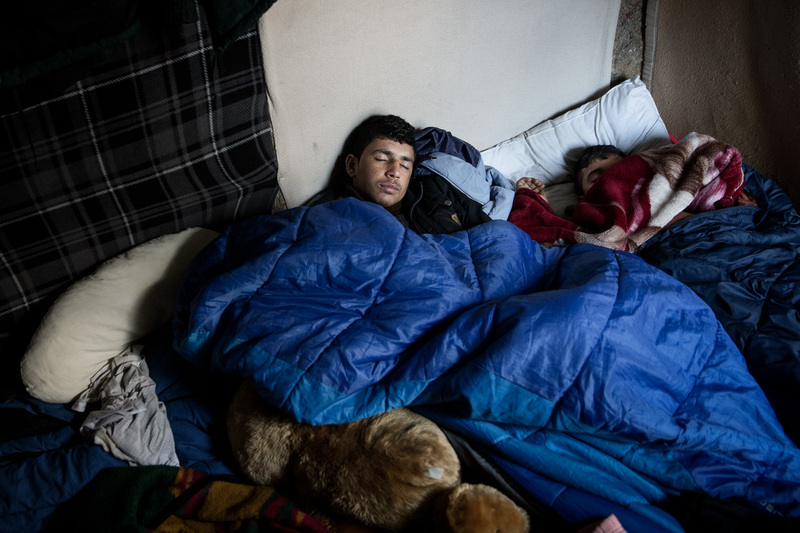 On the other side is Navid’s teddy bear which he bought in the camp for 12 euros. He think he is too tired to get on a truck this night, but he will try again tomorrow.